The sun was starting to set when they finished their snacks. "We should probably head back now," stated Parker. "No way, big bro!" Emma yelled as she jumped over the brook. She left the bags and supplies behind. "I am going to see what is around this corner." "Wait for me!" Parker huffed a big sigh as he crossed the brook. "Mom is not going to be happy if you get lost again." This hi-lo chapter book has high-interest topics with a low-readability level. It is a perfect choice for children just starting with chapter books or children with learning disabilities such as dyslexia. One in four children is diagnosed with a learning disability, and often they have a hard time finding books that entertain them while also being at their level. 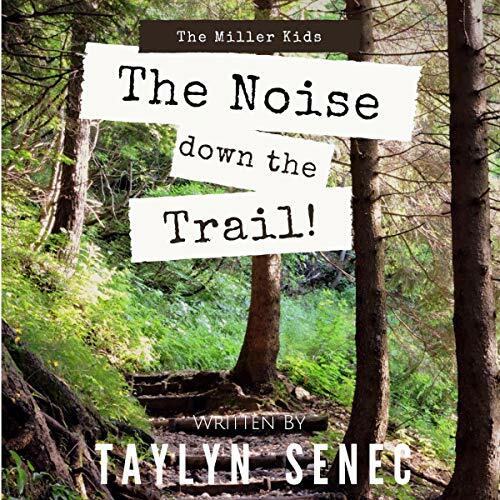 The Miller Kids Series is written with these children in mind, created for children aged 10-13 with a third-fifth grade reading level. This beginner chapter book introduces easy-to-relate-to-siblings in a story that encourages family bonds, exploring the outdoors, and following your intuitions. A story written at the level of the Magic Treehouse books while appealing to children like the Diary of a Wimpy Kid books.